This is a guest post by Cal Bailey who shares the catalyst to his move to Digital Nomad life. Mountain Leon - a travel blog he started after two years on backpacking around the world. If you want to learn more about life on the road or his blogging, you can read his latest blog posts. I remember sitting at my office desk in the summer of 2011, looking wistfully out of the window at the sunshine. My mind was drifting to all the things I would do had I not been chained to that desk, so to speak. It dawned on me in that moment that I simply wasn’t happy in the corporate world anymore. I allowed my imagination to jump ahead twenty years, and the thought of sitting at a similar desk with a similar view terrified me. That moment was a turning point in my life. There and then, I made my decision… I was getting out. I may not have known how at that time, but I knew that the saying, “Where there’s a will, there’s a way” had to apply. Coincidentally (or some might say ‘synchronistically’), it was around that time that a friend mentioned she was going to Bali. I had heard of Bali, but I didn’t know too much about it… I was curious. Shortly after she left on her trip, another interesting coincidence occurred. The marketing department I worked for was downsizing, so the company was offering redundancy packages. I knew one thing for sure: it was now or never. I went for it. Not knowing what I would do next was a little unsettling, but I trusted that the answer would come. I wasn’t disappointed. A few weeks later, my friend returned from Bali full of excitement and tales of life out there. Although she had only gone for an extended holiday, she was completely enamoured with the place, and saw it as somewhere she could imagine living and working. 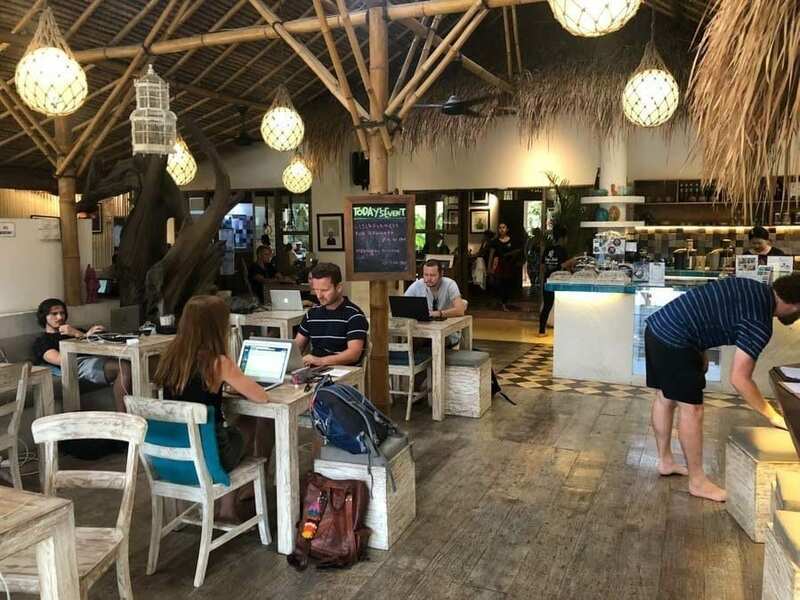 Bali is known as one of the top digital nomad hubs - a location where remote workers come to live, travel and work online. 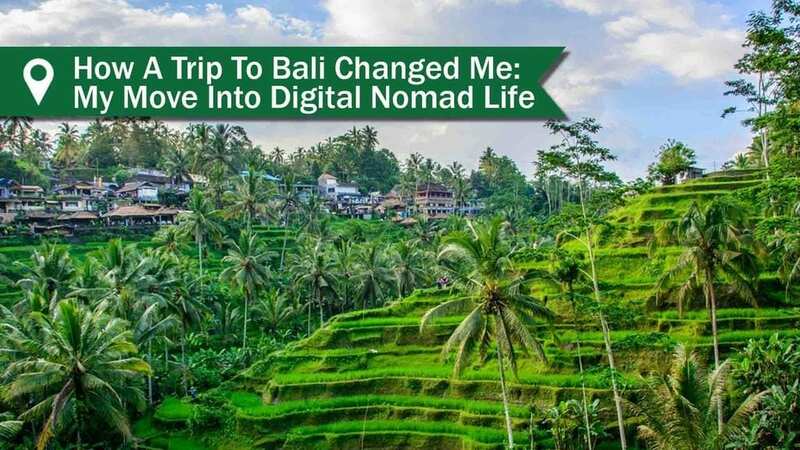 This is the first time I ever heard about the digital nomad lifestyle, which was at the time a relatively new phrase. It sounded amazing! At this time, I had been free of the office for a couple of months and a rough plan of action had formed. I was a content marketer for the previous firm and I knew my skills were translatable. Armed with this exciting information about the digital nomad Bali reputation, the missing puzzle piece had fallen into place. I wasted no time in booking a one-way ticket - destination Ubud. I don’t think I was fully prepared for the impact that Bali would have on me. It blew my mind on many levels. I was in awe of experiencing first hand the surreal beauty in other parts of the world, but I was also amazed at the opportunities available to a lowly Westerner like myself! I hadn’t really anticipated the true benefits of this new work, travel nomad life until I found myself in the midst of it. I had chosen Ubud, but I soon found that the island was full of awe-inspiring places. There is an ideal spot for every kind of person; I know this from visiting many, and talking to the myriad of different characters I met during my stay. 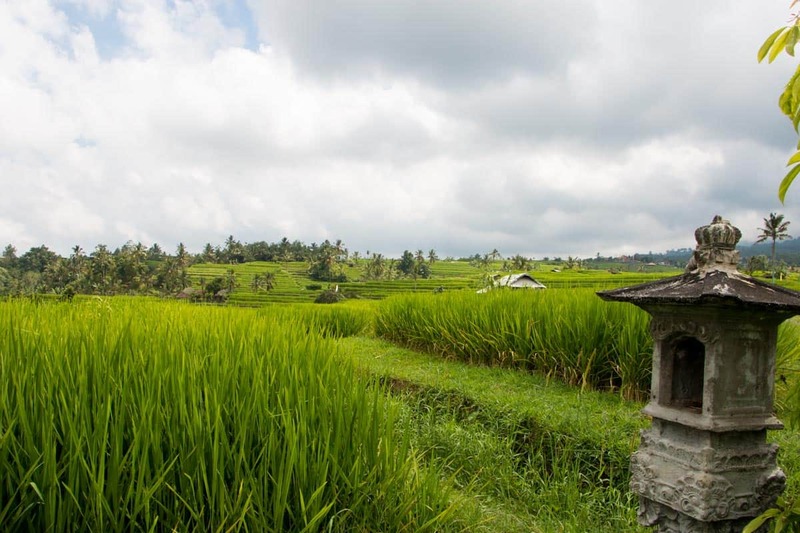 Ubud could be described as the cultural heart of Bali. Situated in the cool mountains around an hour from the Denpasar airport, it’s a traditional country town that has opened its arms to visitors all over the world. 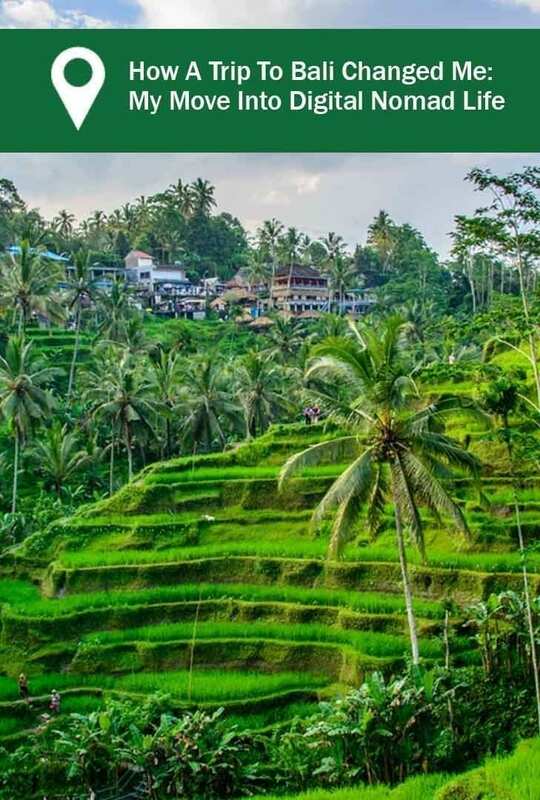 So comfortable are these visitors here - some travelers and some here for a nomad lifestyle that many have settled here, and Ubud has done a great deal to accommodate them. I had done a little groundwork before arrival as to the kind of work I’d be able to do, but my plans were still a little hazy. It wasn’t until I took advantage of Digital nomad Ubud resources that things really took off. I met location independent people from all corners of the earth, all with a similar goal: to fully embrace the benefits of this flexible and easy lifestyle while earning enough to support it, and then some. These people were very inspiring, and fortunately, they were more than happy to pass on their wisdom. On arrival, I joined a couple of online digital nomad communities in Ubud and asked questions. 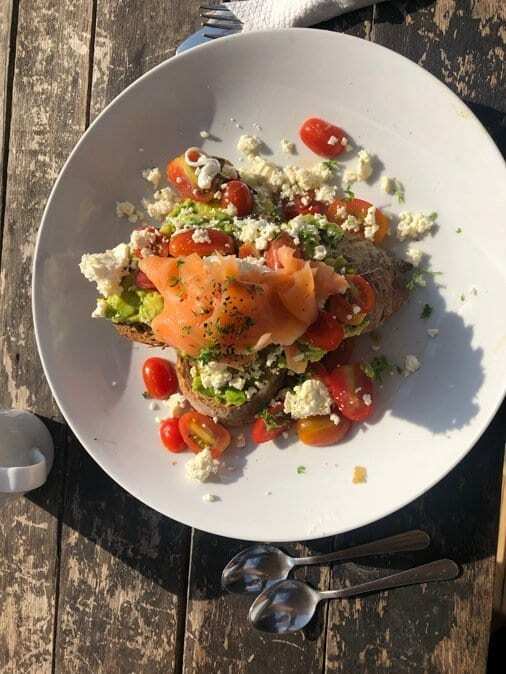 This is how I found out about some of the best co-working spaces and cafes in the area, all of which were geared up for remote workers. I found that there were various comfortable spots with great internet connections, Hubud and headed down to do some online research. 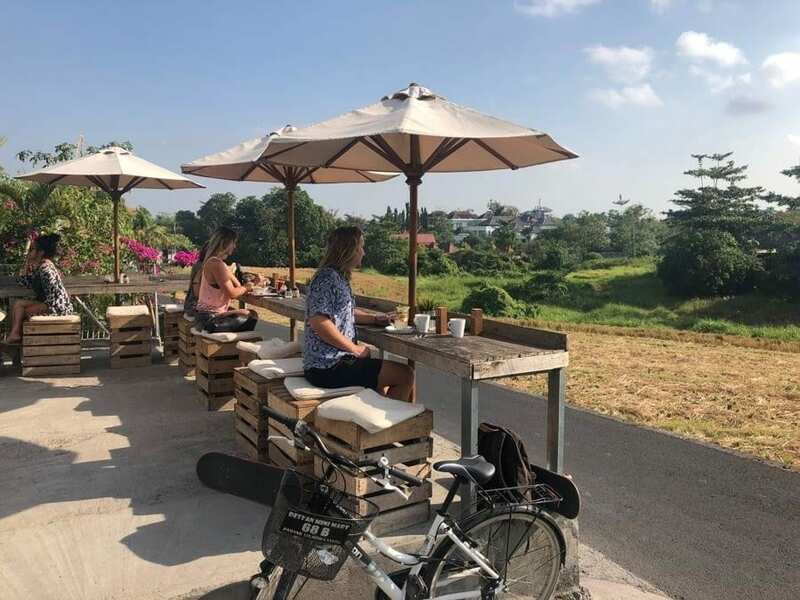 After my first day working at Hubud, I had already connected with four other digital nomads and they’d given me the lowdown on local accommodation and activities of interest, among other things. One of them had a contact who rented out lovely villas to long-term travelers like myself, and he took me along to meet the guy. At that point I was able to move out of my lovely, cheap guesthouse and into a gorgeous villa with a pool, for a mere $700USD per month. I also found out that it was common for people to advertise rentals in Facebook groups, which was very convenient. It happened more or less straight away, but three months in I was feeling relaxed, comfortable and secure. After talking with many of the nomads I’d met day to day, I had done two things: I set up as an affiliate marketer for various online products, and joined UpWork, an online site to find remote jobs. I used my work skills to find assignments as a content marketer for several companies. It took a couple of months to develop a steady income stream, but by month three I was doing pretty well. I can’t tell you how excited I was to know that I never had to go back to office work again. There were so many other opportunities to explore too, and I had plenty of time to do so. I met so many people will all kinds of digital nomad careers including start-up entrepreneurs, writers, teachers, web designers, desktop publishers, graphic designers, social media influencers, and even data entry clerks. All were in total agreement with me that the experiences of the community and living life in Bali was a game changer. Amass some savings as a back up fund. This gives you the plan for freedom to explore new work options without pressure. Pinpoint your transferable skills, or learn some new skills. It helps to lay the foundations before leaving, for peace of mind more than anything. Set the wheels in motion by joining job boards, networking online, and approaching businesses you’d like to be involved with. Quit your job or take a break - whichever is most convenient. As they say, leap and the net will appear! Sort your visas and book your flight(s)! Join some online communities and forums to make friends and get advice on your chosen spot. Find yourself some comfortable accommodation that serves as a base. Mingle as much as possible in the nomad life community, join facebook groups, attend events these are the best ways to understand other career possibilities and to make new friends. Last but by no means least, have faith in yourself! When you can relax into this wonderful lifestyle, you’ll appreciate it all the more. I guarantee you, if you’re anything like me, you’ll never look back. Good luck! Looking for the best digital nomad cities to discover if this lifestyle for you? Check them out here. For more stories about Lifestyle Design on your own terms you can find them here. Like this article? Please share on Pinterest!